Rosy Outlook: The Best Basics In My Closet! 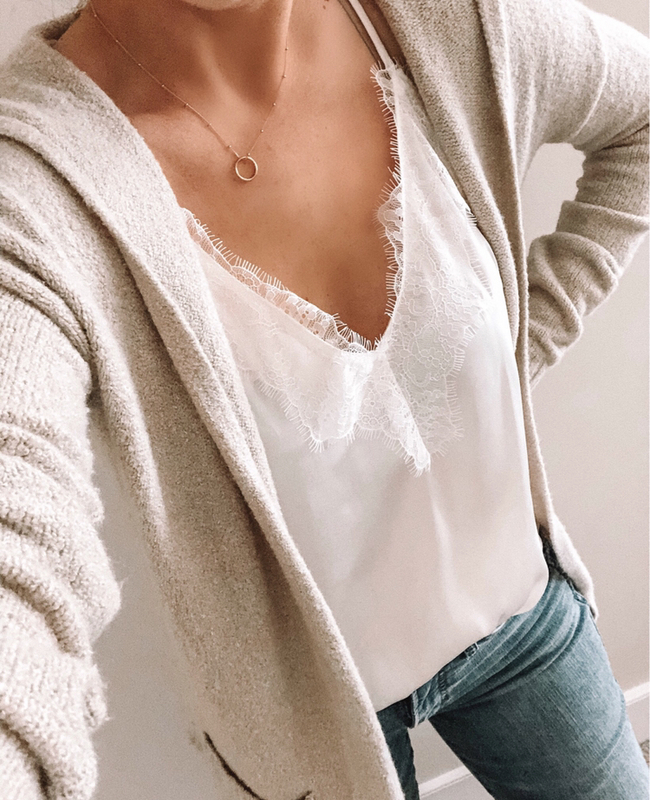 The Best Basics In My Closet! Happy Monday friends! I hope you had a great weekend. If you have been following me for a while, you know that I'm obsessed with talking about basics and finding the best ones. Having a closet full of good basics that are super versatile will end up saving you money vs. spending on overly trendy pieces that you'll wear once or twice before they go out of style. Especially towards the end of last year and going into this year, I purged a lot of of those "trendy" items from my wardrobe and focused on investing in some AMAZING staple pieces that I will definitely be wearing over and over again. I'm thinking about doing a little bit of a series on the blog this year where I show you multiple ways to style one staple piece. For example, 5 ways to style a blazer or 5 ways to style your plain tees. Let me know if you would be interested in seeing that! Below I am linking to my absolute FAVORITE basics. These are all pieces currently in my closet that I wear and LOVE. If I could recommend three things from this post, it would be this t-shirt (I bought 2 pairs o the black and white), this faux leather jacket, and this blazer (I have it in 3 colors). Basics are the best and I love your white lace cami! I've been on the hunt for one but haven't had any luck. I need to stock up on more basics! I love that cami with the lace detail! So true, you wear you basics over and over. worth the investment in a good set of basics. Can't go wrong with these, so versatile and classic.